Join the party on White Linen Night, August 5, 2018! 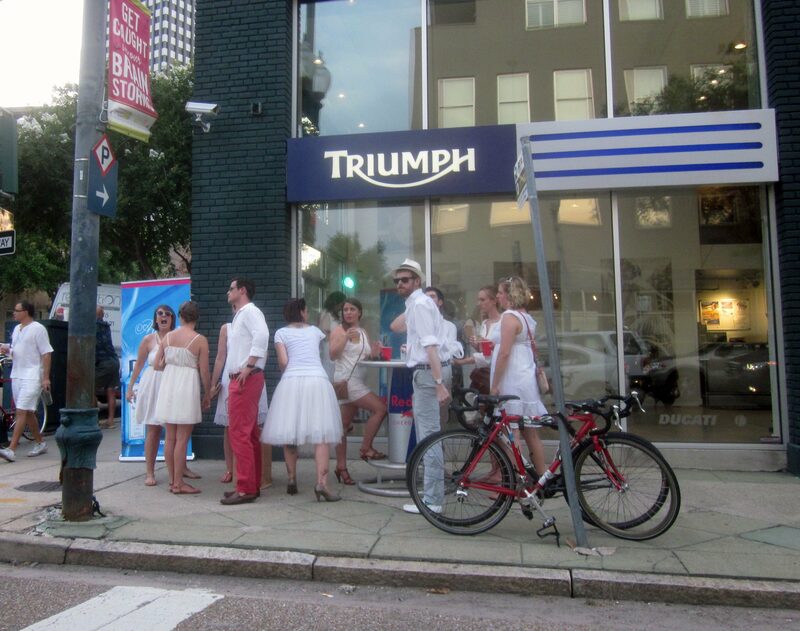 In the past, people typically wore white in New Orleans to keep a little cooler in the summer. Now, the Warehouse Arts District pays tribute to this tradition by wearing white and walking along Julia Street on the first Saturday of August. The merchants in the Warehouse District began sponsoring this walking party in 1994 when people stroll the Warehouse District, visiting the shops and art galleries for 3 hours. Some art galleries and shops have food and drink available for tasting while displaying their artwork or goods for sale. After the 3 hours of strolling and shopping, there is a post-party at the Contemporary Arts Center, but there is an admission fee for this. For information on White Linen Night, see the following link: http://www.neworleansonline.com/neworleans/festivals/artfestivals/whitelinen.html. For information on the post-party, please phone the CAC at 504-528-3805 or visit the website at www.cacno.org.